The use of backpacks continues to evolve. Over the last couple years we’ve seen some really innovative ideas in connection to knapsacks, rucksacks, or whatever you want to call them depending on where you live in the world. The point is, they’re not just for schlepping schoolwork, hiking gear, work stuff or half your worldly belongings around with you anymore. Many backpacks are now multipurpose and increasing in popularity due to their dual functionality. 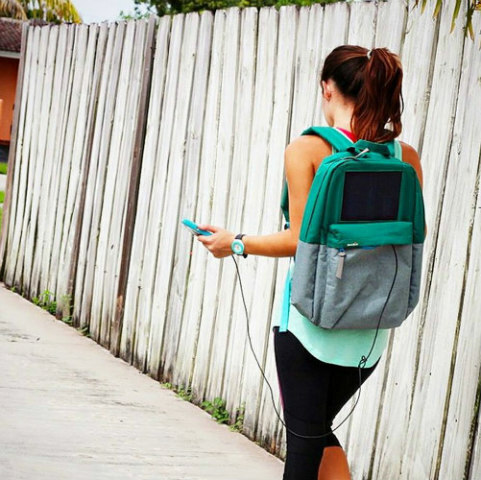 Enter BirkSun, the solar powered charging station you carry on your back. Outfitted with a single solar panel mounted on the face of BirkSun’s bag, it absorbs power from the glorious sun and then squirrels it away in a small battery cell conveniently located inside one of its zippered pockets. While the reserve isn’t large enough to power a cadre of small household electronics all at once, it is fully capable of charging a dead smartphone, laptop, camera, tablet or other mobile device, and it doesn’t take forever and a day to do it. 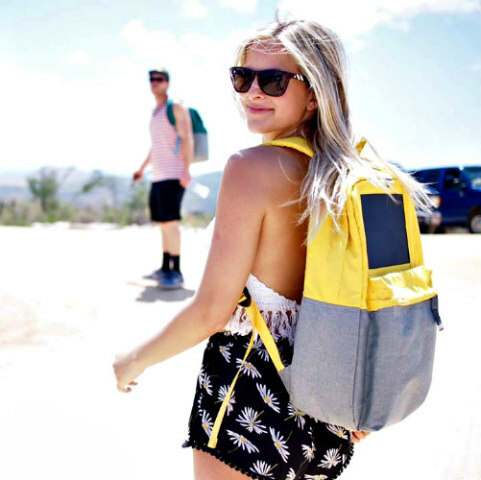 In fact, the group behind BirkSun says its solar powered rucksack has enough oomph to charge a dead iPhone one-and-a-half times over and can do so at optimal speeds. After doing some research on the BirkSun bag, the feedback was extremely promising on its capabilities and reliableness, including the fact you can charge the battery cell externally if need be. But users were quick to point out that it’s not a bag for those reliant on organization. In other words, if you’re one of these “a place for everything and everything in its place” types you’re purportedly going to be sorely disappointed in this particular backpack charging station. That’s because its design is not centered on use for a workstation where there’s a pocket, flap or zippered compartment for everything all held securely in place with Velcro. It’s more like a book bag in that respect. Nevertheless large and roomy, the BirkSun solar charging bag comes in six color options to compliment a nice, neat, streamlined appearance that provides a clean look to a slightly above average profile. This allows it to transition from casual use, such as for beach time and hiking, to semi-professional use due to its somewhat polished appearance. Let’s put it this way, if you needed to take it with you to a presentation nobody would look at it twice and wonder how long ago you put away your cap and gown. For more information on this innovative new product, you can check out BirkSun here.